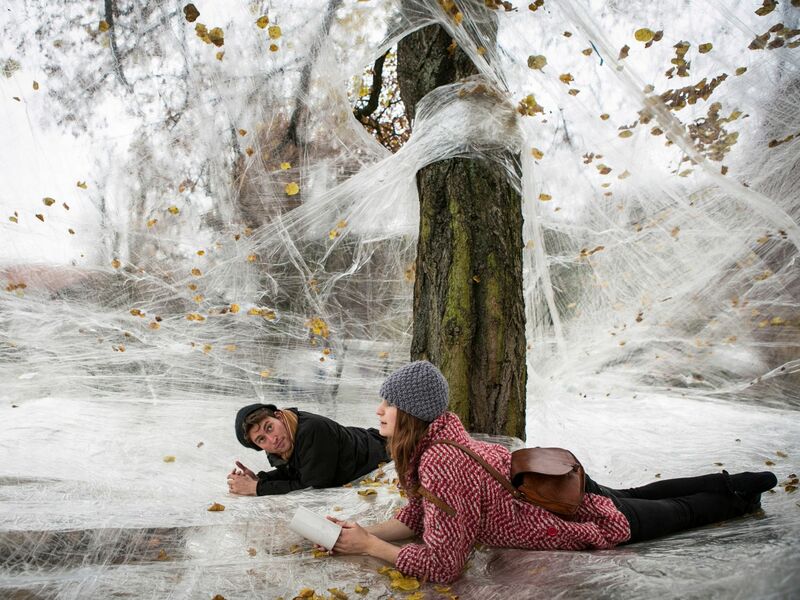 Bad news for the arachnophobes amongst you, TAPE is a giant web-like structure that arts collective Numen will be weaving between the trees in Bute Park for people to climb inside this August 2015. 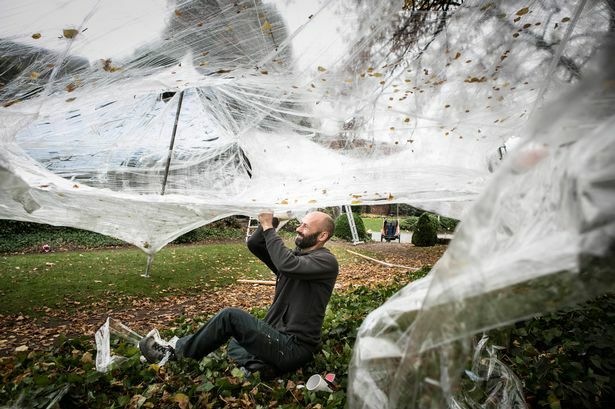 Croatian artist collective, Numen / For Use, are creating an interactive installation in the trees of Bute Park. Stretched between tree trunks like a giant spiders web or impossible cocoon, TAPE is a network of people-sized tunnels hanging in the air. Numen artist Sven Joke and a dedicated team of local volunteers worked over two weeks, carefully layering transparent sticky tape into an artwork strong enough to carry human weight. TAPE’s organic form gradually evolved, nesting in one of Cardiff’s most accessible natural environments. It is for everyone – inspiring us to experience our park in a brand new way. There have been a number 0f different installations around the world, including Paris, Tokyo, Melbourne and Stockholm. Cardiff’s unique TAPE is the UK’s first public TAPE artwork. After the exhibition is over, the art will be carefully removed and recycled into bird houses, specially designed by Numen artist Sven Jonke. Giving Nature a Home in Cardiff is delivered by RSPB Cymru in partnership with the City of Cardiff Council and funded by Tesco customers through the Welsh Government’s carrier bag levy. Delivering free outreach sessions to all primary schools in Cardiff and free events for families, the project aims to put frogs, autumn leaves and muddy knees back in to childhood to help inspire the next generation to look after our city’s amazing wildlife. ← How can we improve Cardiff? Why can’t they just leave the park alone?